This product features ultra-smooth inner bore which mitigates the risk of particle accumulation and entrapment during sensitive fluid transfer. The smooth flow path facilitates complete system cleaning and sterilization. Also, the silicone tubing is fabricated with platinum-curing process and eliminates the concern of extraction often encountered when other curing methods are used. 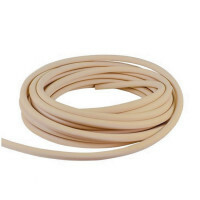 Standard length is 50ft (15meters). 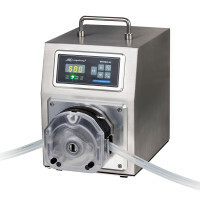 This high flow rate Peristaltic Pump (WT600-3J) can generate adjustable flow rates in the range..
PharMed® BPT Tubing is Beige and for used with beverage and food. It is less permeable to gase..